When we are enjoying ourselves by the pool, we typically aren’t thinking about our safety. However, swimming pools can pose several safety threats to swimmers and liabilities to pool owners. 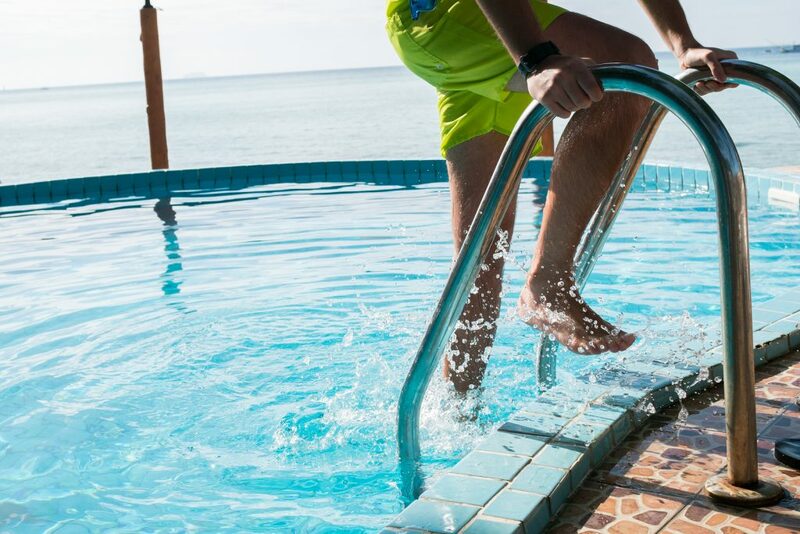 A perfect day in the pool can quickly take an unfortunate turn if you don’t have the proper swimming pool safety procedures in place. The right training, pool practices, maintenance, accessories, and security create a much safer swimming environment. Here are some ways to stay safe around the pool. As most pool owners know, there is a lot of chemistry that goes into maintaining a pool. 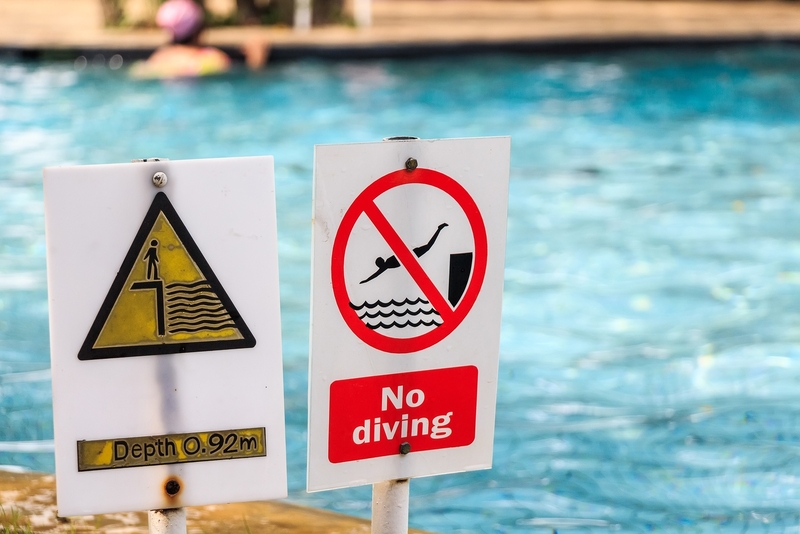 These chemicals pose swimming pool safety issues and must be handled with caution. Improperly maintained pools may contain algae or have unsafe levels of chlorine. Swimming in these conditions can be hazardous, especially if water is ingested. An improperly maintained pool can leave your skin irritated and your stomach upset. Most importantly, you must keep the pool chemicals out of the reach of pets and children. These chemicals are highly noxious. If anyone comes into direct contact with pool chemicals, contact poison control and 911 immediately. Would you believe that half of Americans don’t know how to swim properly? 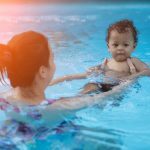 A great preventative swimming pool safety measure is teaching everyone who uses the pool how to swim. This reduces the possibility of drowning and makes for a safer swimming pool. Also, knowing CPR and pool emergency procedures can help avoid an accident from becoming a tragedy. Also, designate an adult pool supervisor. Competent adult supervision is key. For commercial pools, pool safety and in-service training for lifeguards are an absolute necessity. With the right training, you can stay prepared for any situation near the pool. Having a set of rules is a great way to keep your pool safe. Post a sign near the pool that instructs swimmers to not run along the pool, keep glassware out of the pool area, and never let children swim unattended. Other important pool rules are to clear the pool in the presence of lightning and/or thunder, no pets allowed in the pool, no diving, and no alcohol. A clear cut set of rules helps maintain a safe environment and can provide peace of mind for pool owners. Another effective swimming pool safety tip for people with children is to secure the pool area. This can mean installing a fence, setting up pool alarms to notify you when someone enters the pool or installing a surveillance system or barriers to prevent access. Video surveillance is cheaper than ever and there are programs that alert your phone when there is movement near your pool. Securing the pool helps assure that no one will fall in or swim unattended. If anyone enters your pool who is not a strong swimmer, it’s important that they wear a lifejacket. 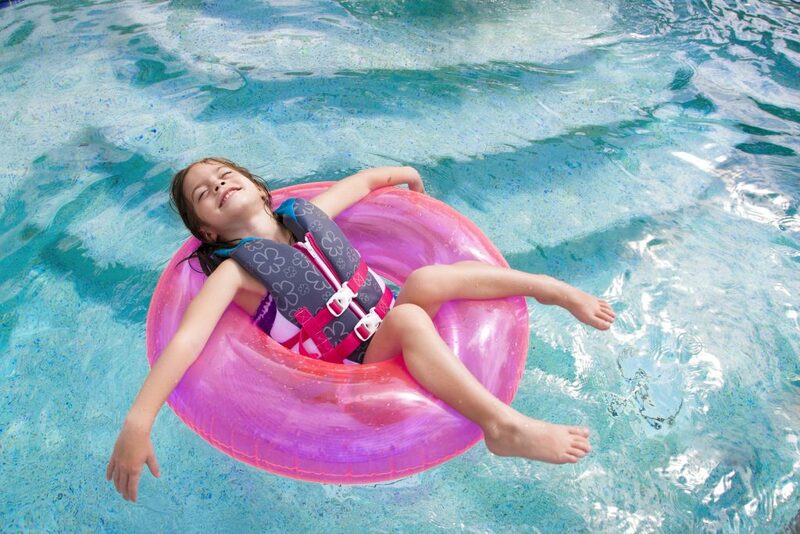 Lifejackets can help improve their form while learning to swim, as well as prevent them from drowning. It’s important to find a lifejacket that properly fits because ill-fitting jackets can actually make it more difficult to swim. It is also important to keep flotation devices near the pool in the event that someone begins to struggle while swimming. A safe pool must be well maintained with knowledgeable professionals looking after it. Pool Operation Management provides the very best in pool services – including inspections, service, leak detection, repairs, and pool owner training. Our residential services will keep your pool clean, chemically balanced, and safe for everyone. Our commercial services include supervision, training, service, certified pool operators, as well as chemicals and supplies. We even provide expert legal witness services. For a pool you will love splashing into, contact Pool Operation Management today.